Toynbee Hall, an elegant, Grade II-listed building right in the heart of London, provides a unique stunning venue for wedding or civil partnership ceremonies and receptions. Situated just a few minutes walk from Aldgate East and Aldgate tube stations and the bustle of Liverpool Street Station, Toynbee Hall, with its quiet, rose-lined courtyard, is a hidden, historic gem. Built in 1884 as a centre for social reform, the work done here has inspired everyone from politicians to religious leaders and artists. 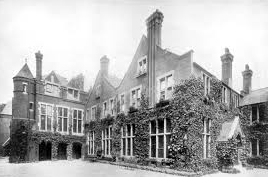 Gandhi visited Toynbee Hall as did Lenin and Charles Ashbee, a contemporary of the renowned artist William Morris who once worked here as a volunteer. One of the halls – The Ashbee Hall – is named after him. It’s decorated in the Arts and Crafts style that Ashbee helped to make famous. 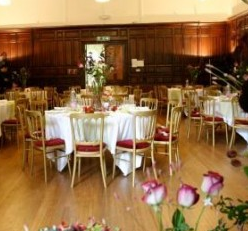 This large room, and the adjoining wood-panelled Lecture Hall, form the venue for wedding ceremonies and receptions. 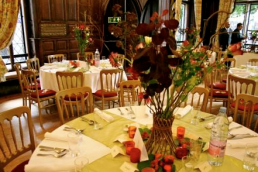 The halls have a maximum capacity of 100 guests for a seated reception. Hire includes exclusive use of the Lecture Hall and the Ashbee Hall from 9am until midnight. (This includes the time needed to set-up and clear each event) and use of the venue’s own tables and chairs. (Please note a limited number of tables are available). 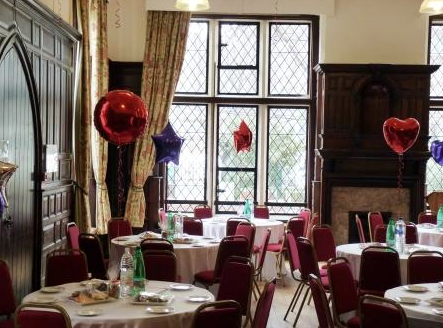 Tower Hamlets Registry Office provides the registrars for weddings and civil partnerships held at Toynbee Hall, booked directly by the bride & groom.